In the mind of the experienced endurance sport athlete, “pain” can be just another way to describe the the sensations which lead to achievement of one’s goals. Throughout this dance with discomfort, the athlete is engaged in an inner dialogue, and the topic of conversation is whether to keep the foot on the throttle and tolerate the discomfort a little bit longer or let off the gas and seek a slightly more comfortable intensity level. The athlete is constantly collecting a combination of objective and subjective feedback in order to determine the optimal effort. These data may include power, cadence, heart rate, distance to the finish line, elapsed time, rating of perceived exertion (RPE), respiration rate, proximity of fellow athletes, and more. Having convenient access to meaningful data in these moments can make the difference between persevering or pulling the plug. As coaches, our job is to provide our athletes with both the right tools and the training guidance to understand what the numbers mean in the moment; having one without the other is almost useless. We all know athletes who have resisted technology, and instead prefer to go with their gut. Unfortunately, many athletes simply have poorly calibrated perceived effort monitors (PEMs), and need both the technological tools and the coaching in order to improve calibration, and, in turn, their ability to rely on RPE. To help those athletes, I’ve had success with an “art and science” conversation, which lets the athlete know that they don’t have to be slaves to these tools forever, but rather move through alternating art and science phases. While novices are often the best candidates when it comes to seeing the value provided by objective data, such as power, heart rate, and speed, sometimes it is the more experienced athlete who could benefit from a periodic “science” phase. This is especially true if they have plateaued or set a uniquely audacious goal this season. My challenge to you is to explore new ways to incorporate that real-time feedback into the workouts that you are already prescribing. Whether it is with new tools like the Solos Smart Glasses or just encouraging your athletes to consistently make a “system check” during a workout, building a relationship with that data is sure to increase your athletes’ ability to push through the hard times with objective knowledge. Scott has been a TrainingPeaks Coach and athlete since 2005 when he founded FastForward Sports in Boulder, CO. FastForward grew to become one of the largest and most successful training groups in the U.S., employing over 100 part-time coaches and impacting more than 4,000 athletes in 10 years. 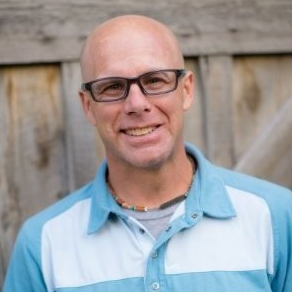 Scott has competed in a variety of endurance sport races over the past 20+ years including five IRONMAN events, 70.3 Worlds, Duathlon Worlds, XTERRA Worlds, and the 24 Hours of Triathlon where he placed in the top five. Scott sold his coaching business in 2014, and is now the Senior Director of Marketing and Sales for SOLOS Smart Glasses.